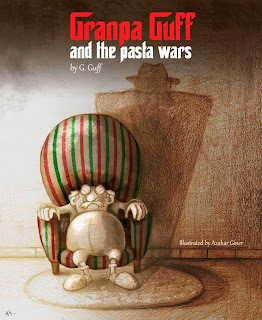 Granpa Guff certainly claims this is the case in his new story ' Pasta Wars' which I was recently sent to review. It's a children's book, but the sort that is fun for an adult to read. It has (much like the previous book The Accidental Astronaut) lovely pictures, in fact I rather prefer the pictures in this book with their slight sepia tone and colour detail. 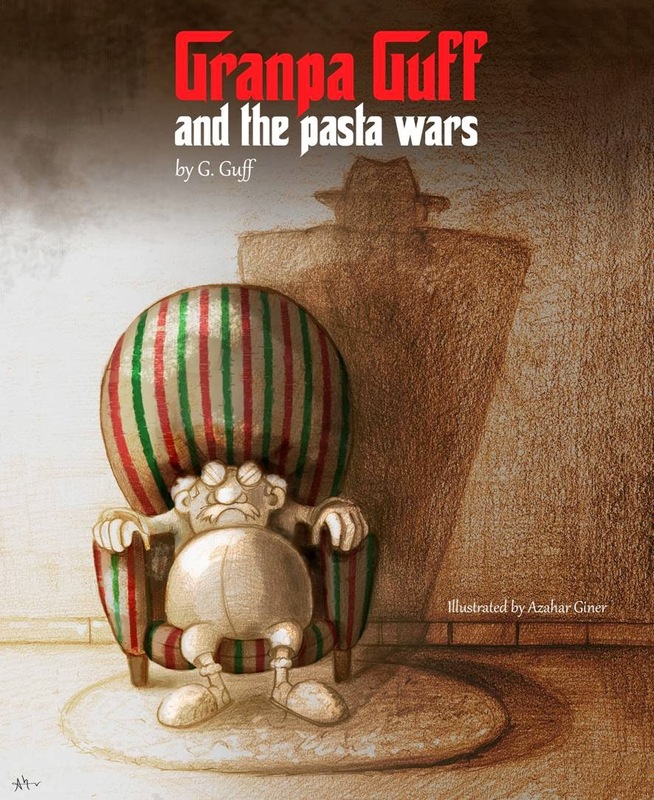 The story is an old historical one, based in NYC and the (now infamous) Pasta Wars. As I'm married to an Italian I was only too familiar with the tale of Italian immigrants and the wars that started when Mama Spaghetti came up against Mr Linguine and Mr Tagliatelle... there is talk of hair oil, waxed moustaches, restaurants, sabotage, intrigue....war! and of course the damage done with a pizza can be huge! Another entertaining and possibly not quite factually accurate tale from Granpa Guff. A fun book for children to read aloud or to read to younger ones. Be sure to do your best Italian accent. and follow GranpaGuff on twitter - who knows, things might get interesting, capisce? Disclaimer : I was sent a free electronic copy of the book for the purposes of the review.